I’m talking about the Harley-Davidson CVO (Custom Vehicles Operation) division and their customers. 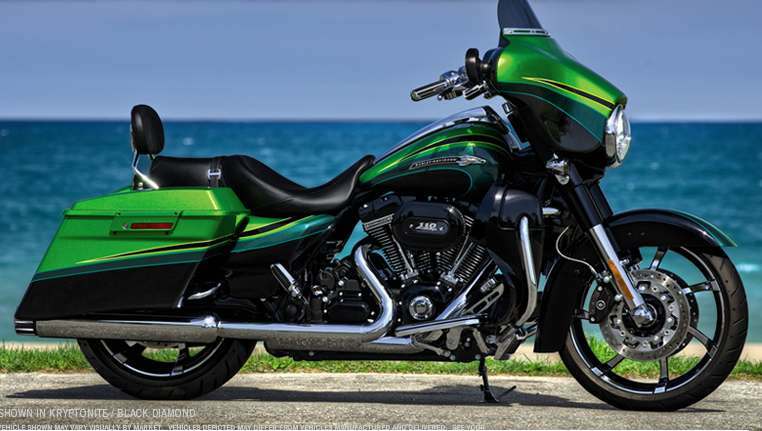 CVO versions take an existing Harley motorcycle, then add a host of additional parts, usually cosmetic but some are mechanical, including the 1,803cc (110 cubic inch) version of the stock Harley motor. The bikes they design and build are by any definition “mass-produced,” so they’re not true “custom’s” in the purest sense of the word. 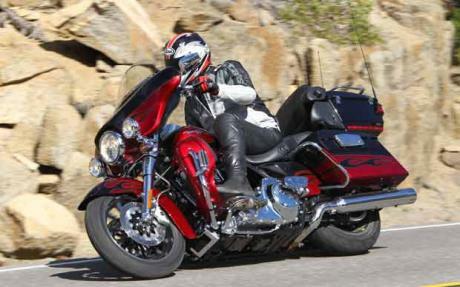 But, based on rider demand the CVO division makes specialized versions on a few Harley models each year. The people who purchase these want to customize their motorcycles but don’t have the time or skills. But they do have money! Whoa! A $40K Harley-Davidson. That’s a first. And neither had the optional 200 Watt “Boom! Audio Bagger” package which would have pushed the asking price even higher. The CVO models always sell out and I’m sure 2011 will be no different because H-D deliberately under produces to maintain a perception of exclusivity. So what’s my point? I think purchasing the CVO takes all the fun away from doing your own customization. The research, planning, procuring and incremental accessory installations are what provides motorcyclists winter projects and if you purchase a CVO your relegated to just washing it, right? For example a comparable bike to #2 above is the Electra Glide Ultra Limited which includes the Power Package (103cu in plus ABS/Security) with an asking price of $27,200K (MSRP: $25,280 (includes shipping costs)). With very similar paint schemes (minus flames) it looks like the dealer is asking about a $13,000 premium for the CVO version. Sure it has the 110 cu in and several other accessories, but the price difference gives a person a lot of room for upgrades and chrome that you specifically want vs. what the motor company decides you need. H-D doesn’t care either way as long as you just buy a new 2011 model. I’m thinking the dealer is wishing for a lot here with their additional mark up during these financial times. It will be interesting to see how long the CVOs stay on the showfloor as $40K buys a lot these days. Photo courtesy of H-D and Telegraph.co.uk/ Double Red.